Sometimes we offer FREE Training. What will this class do for me? 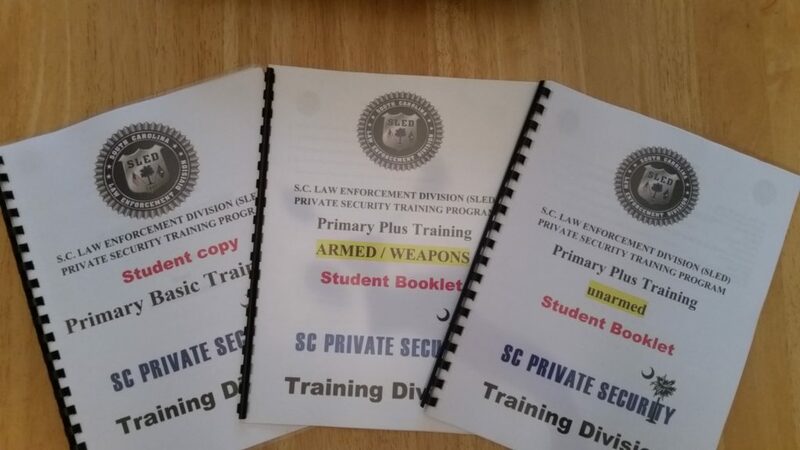 When you finish your 8 hour “Armed” SLED Security class with us, you will have all the documentation you need to go apply to a “Security Company”. 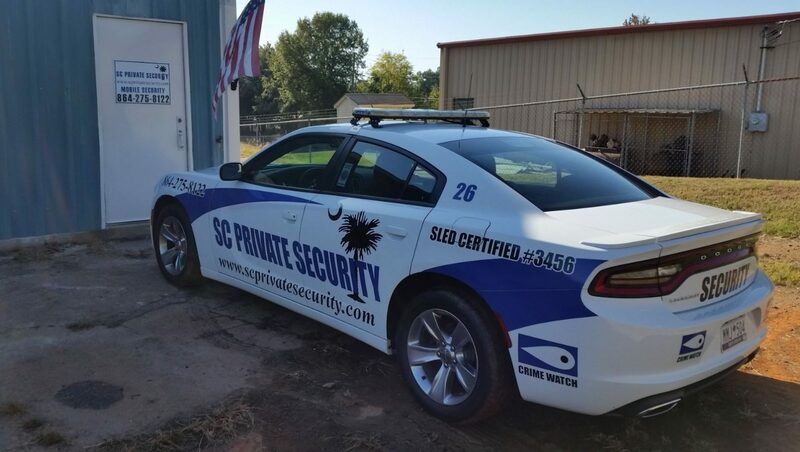 If they hire you, you will be able to work ASAP as a UN-armed Security Officer until your background check and application gets approved by SLED. Once approved, you will then be able to work “Armed” posts providing the company you work for allows you to do it. Why are you giving away FREE Training? It gives a chance to screen good potential Officers and keep them in our system so when something opens up, we would call you 1st, before running an Ad. When is the next FREE Class? Email us and we will ask you a few questions and then provide you the information needed. What does this Clinic / Class teach? This class was designed for women to familiarize themselves with a standard hand gun. The hand guns include a 9mm, .40 cal and a 38 cal revolver. To get those ready that one day may want to get their CWP license. Who is allowed to attend? Women over 21 years old can attend our Free clinic. What will I learn? When you finish our Free clinic, you will have the basic understandings of a hand gun and when treated as if they are loaded all the time, they are not dangerous to you or your family. Will I be able to shoot? Our Free clinic does include the shooting range. However, here is what has to happen before we will let you shoot a weapon. You will demonstrate to us that you comprehended the safety of the weapon (in class). You will take a short written test on the safety and use of the weapon (in class). You will do a demonstration on the handling of the weapon (in class). If you FAIL to meet our requirements, we will not embarrass you in front of the class. You will be told privately you may need 1 more session. Once all these parameters are met, Yes, we will have you sign a waiver and you will be allowed to follow us to the shooting range to do a 20 rounds on target demo. What do I have to pay for? Nothing. We supply everything. How long does the class take? Well, this is not a CWP class which takes 8 hours because we discuss laws and everything else. This class is can last up to 4 hours to familiarize with a weapon, testing and then going to the range. It depends on the class size and the level of comfort each individual has. This class will basically make you feel more comfortable around a weapon and will give you the understanding that weapons don’t harm……people do! How big is the class size? We try to keep it small because we want to be focused on everyone in the class. When I get done with this class, could I get my CWP? You can get your CWP without this class, all you do is enroll in a CWP class. This class is designed to help those who one day would like to get their CWP but have never even held a gun. If you have NEVER held a gun or fired a gun….this is the class for you. What do I need to bring to class? A valid Drivers license…that’s it. How do I sign up? Email us from this website and tell us you are attending the Clinic. 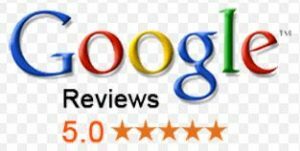 We will respond with a confirmation that you can attend OR the class is full and will instruct you on what to do. Next Class: October 28th (Saturday) Greenville, SC. Class generally starts about 9am. 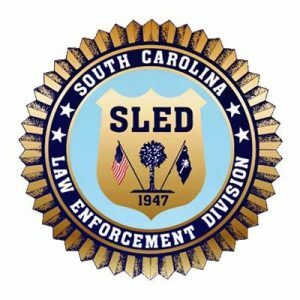 Starting in Jan. 17, 2017, All Security Officers in SC who are SLED Certified must take the minimum class “Primary Basic”. This page has all the explanations of all our Training and Pricing as well (near the bottom). If you are going to carry a Handgun, Handcuffs, Taser, OC Pepper Spray or anything on your duty belt, you must take the “Primary Plus” class as well. There is a lot of information here. Be sure to glance at the entire page from top to bottom. Primary Basic: (Mandatory) A basic knowledge of what you can do as a legal SLED Certified Security Officer on the property you protect. To become an ” Unarmed Officer”. This class is all you will need to be a basic SLED Certified Officer. Taking this class does NOT include weapons, Handcuffs, Use of Force and Authority to arrest. Primary Plus: (Optional) This class is basically an upgrade to certify you in many things such as Handcuffing, Use of force, Handguns, Taser and OC Pepper Spray. 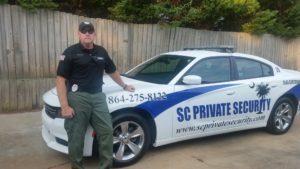 This class gives you the same authority as a Sheriffs deputy on the property you protect. YOU CANNOT take this class unless you have been to the “Primary Basic“. Primary Plus can be broken down many ways as explained below. A. You can ask for Authority to arrest, Use of force and Handcuffing with the Laws and nothing else, no weapons at all. This is the bare minimum for “Primary Plus”. If you take this, it allows you to carry handcuffs and make arrests. F. With options B, C and D….you will have handcuffing, authority to arrest and laws as well. The NEW REGULATIONS have really helped Security Officers. Now, you can hold more than 1 SLED Card. In the past, a Security Officer couldn’t work for more than 1 company….now you can. This is a great thing because some companies need part time Officers. So, you can be an Unarmed Officer at 1 company and become an Armed Officer at another. This also allows Officers to get more hours by being flexible working for more than 1 company. YOU WILL GET A SLED CARD FOR EACH COMPANY YOU WORK FOR. Teachings: This will teach you the basics of what you should do as a Security officer on the property you protect. This class gives you the bare minimum to become a SLED Certified Officer. You will NOT learn everything there is to know about statutes and laws, but you will be given a lot of information to take with you to help you learn more than we can teach in the allotted time. This class will prepare you to become a SLED Certified Officer for SC in an Unarmed post, carrying only a flashlight and a duty belt. Group Pricing: Once we know how many students, we can discuss this. What to bring: Bring a notebook and pen. Dress casual or in uniform. ID Card, License, S.S. Card. You will be finger printed and a picture will be taken. NO WEAPONS AT ALL. There will be a written test you must pass to Certify. When you leave this class: You will receive a Certificate, a binder with everything you were taught in class, your training records for SLED. You will be able to apply to SLED (Plus application fee) for your Unarmed SLED Security officer Card. You will have to have a company sponsor you on the application. If you do not, we will be your sponsor. Are you doing weapons training? Are you just doing Handcuffing with the Laws? Are you doing OC Pepper Spray? 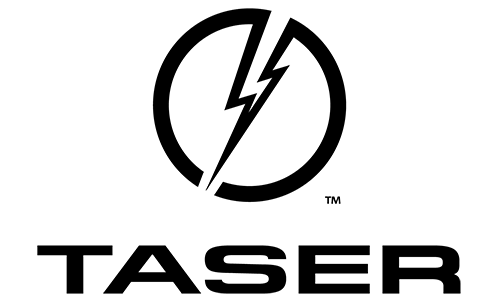 What about Taser? So, to really give you an idea of “What to bring” and “How long the class will be” we would need to know what you want done in the “Primary Plus” Training. Teachings: You will need the Primary Basic class 1st to take this class. You can schedule Primary Basic and Primary Plus together. This class will go into more details about Patrol Procedures, Vehicle Operations, Reasonable suspicion, Handling difficult people, Use of force, Testimony, Investigative Detention. You will be given an in depth manual that will provide a lot of information to advance your knowledge of what you can do and what you should not do. Unless specified, this does NOT cover weapons training at all. When you are done, you will have the authority to arrest and carry handcuffs….No weapons at all. Group Pricing: We can discuss as we know the amount of students. What to bring: Bring a notebook and pen. 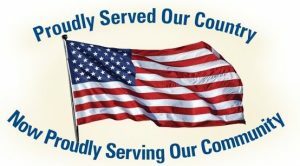 Dress casual or in uniform. 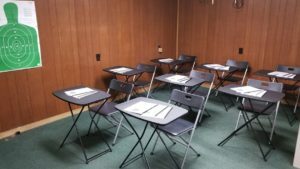 Your proof of Primary Basic Training if you are only doing the “Primary Plus”. You can bring your own handcuffs if you want. Class duration: (Primary Plus ONLY) 4 – 5 hours. When you leave this class: You will receive a Certificate, a binder with everything you were taught in class, your training records for SLED. You will be able to apply to SLED (Plus application fee) for your Unarmed SLED Security officer Card. You will have to have a company sponsor you on the application. If you do not, we will be your sponsor. If you signed up for Armed, you would be able to send for the “Armed” SLED Card. Primary Basic alone (No weapons): $100.00 / 4 hours. This class all alone will give you the minimum to become a SLED Certified Officer. Primary Plus alone (No weapons) with Handcuffing and Laws: $100.00 / 4 hours. This is the 2nd part of the training. Once completed, you will have the authority to arrest and carry Handcuffs. You can only take this if you have had the “Primary Basic” Class 1st. Primary Basic and Primary Plus together (No Weapons) with Handcuffing and Laws $125.00 / 8 hours. This is if you take both classes together and will give you the authority to arrest with Handcuffs. Primary Plus alone with Handgun, Handuffing and Laws $110.00 / 4 – 5 hours. When finished with this option, you can be an Armed officer with the authority to arrest with Handcuffs. Does not include range fees, bullets and weapons rental, For more explanation click here. You can only take this if you have had the “Primary Basic” Class 1st. Primary Basic and Primary Plus together, with Handgun, Handuffing and Laws $135.00 / 8 – 9 hours. When finished with this option, you can be an Armed officer with the authority to arrest with Handcuffs. Does not include range fees, bullets and weapons rental, For more explanation click here. Primary Plus alone with Handgun ONLY. This means you already had Handcuffing and Laws. You will be an Armed officer. $100.00 / 4 hours. Does not include range fees, bullets and weapons rental, For more explanation click here. You can only take this if you have had the “Primary Basic” Class 1st. When you get done with any of the SLED training regarding “Primary Basic” or “Primary Plus” you will not be certified at that instant moment. YOU WILL have to send in your application to SLED with the training records from our company, with the SLED fees, finger prints, photo, etc. We walk you through this whole process. Once approved by SLED, then you will be an “official SLED certified officer”. 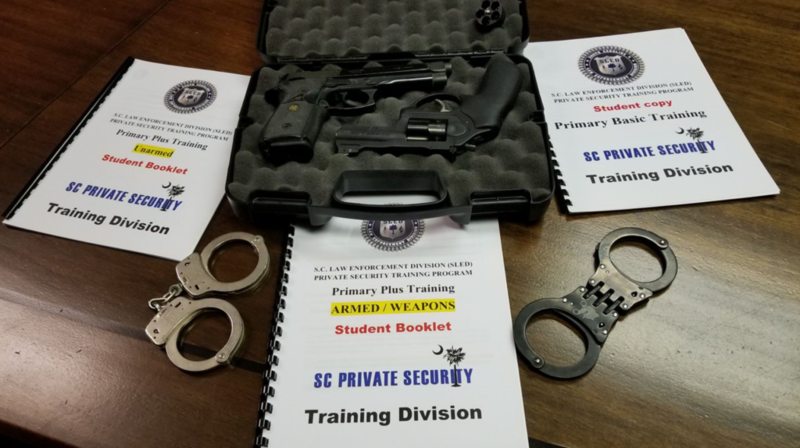 Starting in Jan. 17, 2017, All Security Officers in SC will be required to be trained with the new classes “Primary Basic” and “Primary Plus” by a licensed trainer. We are a 1 stop shop for Training! All the required SLED Training as well as OC Pepper Spray and CEW (Taser) Training. Primary Basic (Mandatory): To basically become a “Mall security guard” or to meet the minimum requirements by SLED. This means no “arrest authority”, no “use of force” training. Primary Plus (optional): This is the 2nd part of the SLED training. If carrying a weapon, CEW Taser, Handcuffs, OC Pepper spray and wanting to have arrest authority and use of force. There is another SLED law that has changed. Private Security officers now have the advantage of working for more than 1 company. For every company you work for, you must apply for your SLED card through that company. You DO NOT need to take the training over again. You will have to do a 2 hour orientation with every company you work for. What this also means is now if the company you are working for does not have enough hours for you, you can apply at another company, get your SLED card and pick up extra hours through them. Something to think about: Every officer should try to get their Armed card as well as all the other training they can. The market dictates to a Security Company what type of officers they need. If you are an “Unarmed” officer and we pick up a contract that is “Armed”, we can’t use you. So, having all the training is a benefit and makes you a more “Marketable” officer. We can train you to become the most marketable SLED Certified Officer around. If you have been Certified or not, we can set up a package deal for everything you need. Option 2. If you are taking “Primary Basic” and “Primary Plus” together, then you can take the Armed portion that same day in the 8 hours of training. $135.00 if you bring your own weapon and bullets. Includes range fees. Primary Basic: A basic knowledge of what you can do as a legal SLED Certified Security Officer on the property you protect. To become an ” Unarmed Officer”. This class is all you will need to be a basic SLED Certified Officer. Taking this class does NOT include weapons, Handcuffs, Use of Force and Authority to arrest. 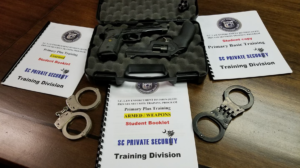 Primary Plus: This class is basically an upgrade to certify you in many things such as Handcuffing, Use of force, Handguns, Taser and OC Pepper Spray. 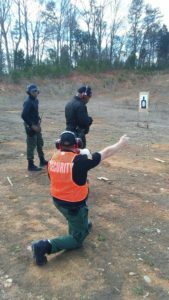 This class gives you the same authority as a Sheriffs deputy on the property you protect. YOU CANNOT take this class unless you have been to the “Primary Basic“. Primary Plus can be broken down many ways as explained below. Primary Plus alone (No weapons) with Handcuffing and Laws: $100.00 / 4 hours. This is the 2nd part of the training. Once completed, you will have the authority to arrest and carry Handcuffs. Primary Plus alone with Handgun, Handuffing and Laws $110.00 / 4 – 5 hours. When finished with this option, you can be an Armed officer with the authority to arrest with Handcuffs. Does not include range fees, bullets and weapons rental, For more explanation click here. Primary Plus alone with Handgun ONLY. This means you already had Handcuffing and Laws. You will be an Armed officer. $100.00 / 4 hours. Does not include range fees, bullets and weapons rental, For more explanation click here. We cannot fit Taser and OC Pepper Spray in the above classes because of the amount of time required. To do all of our training will take 2 full days to be a SLED Certified Armed officer with Handcuffing, Weapons, Taser and OC Pepper Spray. We can price a full package for this option per student or a group price. Will you know everything? No…but we will give you a lot of information that can and will make you compliant and legal to carry. We cannot guarantee that everyone who takes our class will abide by the laws that SLED has put out, but we can guarantee if you follow our instructions it will make you legal and less of a target if something ever happened. Pricing: $60.00 for the class and materials. If you didn’t bring a weapon, bullets and added all the fees for SLED and our course. Your total cost will be $140.00. Valid for 5 years. If you bring your weapon and bullets. When you add our fees plus the SLED application fees with the range fees. Your total cost will be $120.00. Valid for 5 years. For South Carolina Students: To carry a CEW (Taser) you must have had the SLED “Primary Basic” class in South Carolina 1st. 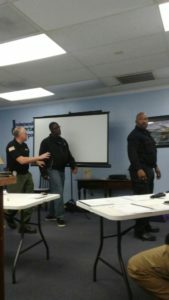 Carrying a Taser falls under the “Primary Plus” class which is the 2nd portion of training. OC Pepper spray, also known as OC spray (from “oleoresin capsicum“), OC gas, and capsicum spray, is a lachrymatory agent (a chemical compound that irritates the eyes to cause tears, pain, and temporary blindness). Why do you want to carry OC PEPPER SPRAY? If your answer is because WHEN and IF you have to control a situation you want to be ready. 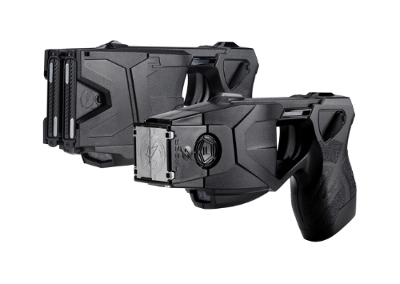 If your answer is because you want a LESS than lethal force option in your arsenal. If your answer is when you spray someone, you want to know you have contained and secured the person and or property. THEN I SAY THIS, you have to train in this product “SABRE” OC Pepper Spray. Do your research and if you do not know how…I will be glad to walk you through it. SABRE “Crossfire” RED is the #1 spray, gel, fog and foam on the market…….I personally got hit with it. I immediately just wanted the pain to go away and complied with the commands of the Master trainers just so they could quickly make the pain go away! So, Yes, we can Certify you to carry any OC Pepper Spray on the market, but we would love to certify you through SABRE because at the end of the day, SABRE will go to bat for everyone who uses their products when it comes to product liability. In other words, as long as you can justify to a court room “Why you sprayed someone with OC Pepper Spray” Sabre says they will prove that their product is not a harmful product to use. It is BAD A** but it is legal and within the legal limits to not cause extensive injury and helps you from being set up in a bogus “use of force” civil law suit from a bad, harmful or misused product. We use the latest “SABRE” products. We train you with 3rd Generation Sabre Crossfire Red. we can still certify you to carry OC Pepper Spray for your state. To get Certified to carry OC Pepper Spray, you WILL get sprayed unless you can provide a document that shows you have been sprayed in the past and or have a medical release from a Dr. If you are getting sprayed, you should make plans to have someone drive you home or make plans to sit around for a few hours. The class size varies. Our class time is 2 – 4 hours….Once you have been sprayed, your class time is done and you will be released. If you do not need to be sprayed, you can be let out earlier. There is a test involved (Before you get sprayed) that is required to get your certificate to carry your OC Pepper Spray on your person.. If you are getting Sprayed, we recommend bringing a change of clothes, PLUS a nice bath towel because during the DECONTAMINATION (After you get sprayed) you will be wanting water and soap all over your head and it gets messy as your clothes will get wet. Before we spray you, there is a student release waiver that each student will have to sign. It basically tells us you understand what is about to happen and it asks some medical questions as well. LASIK or any type of eye surgery? You cannot get Sprayed within 6 months of the medical treatment you were given. What to bring? Again, a change of clothes (recommended) A large bath towel and your document of PROOF if you have been sprayed in the past. If you show up without proof, you will have to get sprayed. Price: If you have your own brand of OC Pepper Spray you want to certify in, you must bring it and your class fee will be $60.00. You will receive a certificate valid for 1 yr.
Price 2: If you are certifying with our brand “SABRE OC PEPPER SPRAY” your class fee is $80.00. You will receive a certificate valid for 1 yr, a can of Police issue (with carrying case) “SABRE” 3rd generation gel. Do you want SABRE OC Pepper Spray? We will have them available for purchase in class. Contact us for a OC Pepper Spray class!